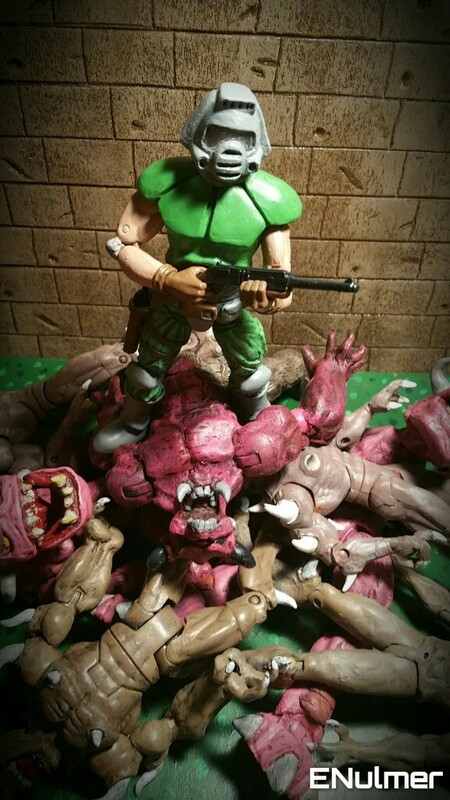 Sculptor Ian Ulmer has created an entire series of custom action figures based on the creatures and characters of Doom. 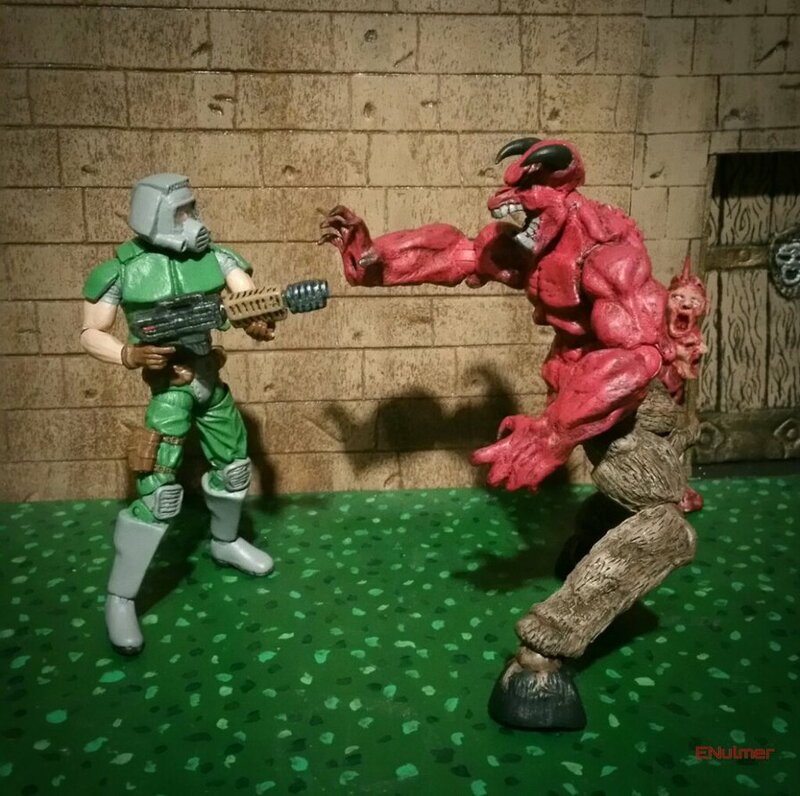 Doom is a game that a lot of people have understandably fond feelings for. Setting aside the fact that it's a hugely and important title in the history of gaming, it was also one of the best games of its time and remains a blast to play today. 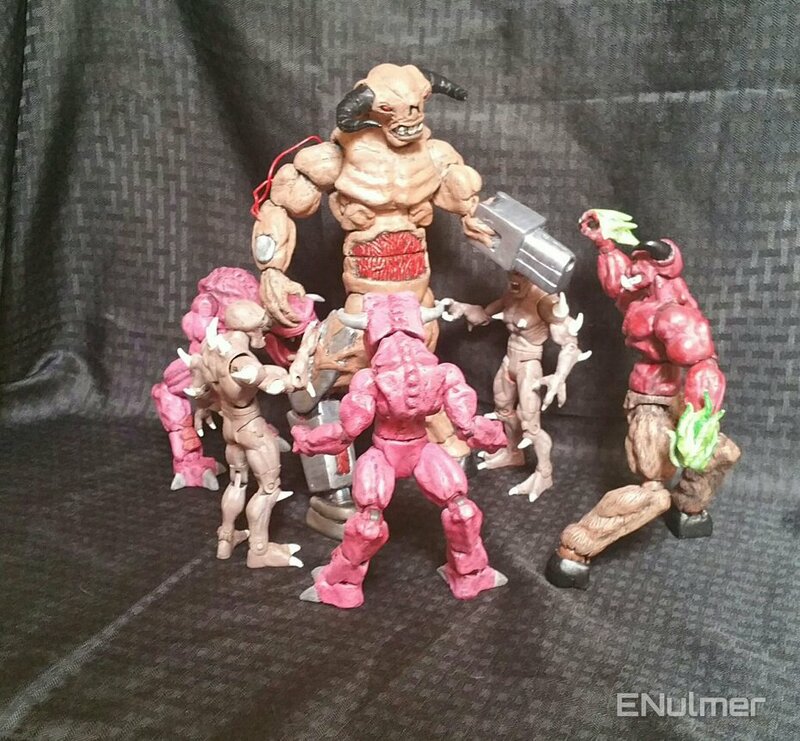 For most gamers though, their fandom for Doom probably doesn't extend past nice memories and nostalgia. Not so for Ian Ulmer. 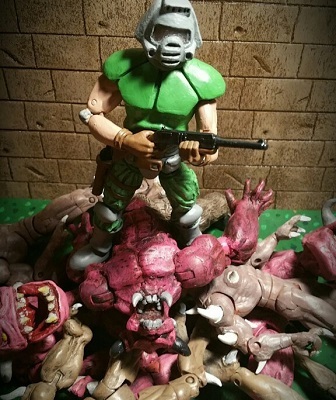 An American sculptor and Doom fan, he's committed no small portion of his time and skill to creating custom action figures that gamers likely would have died to get their hands on back in 1993. 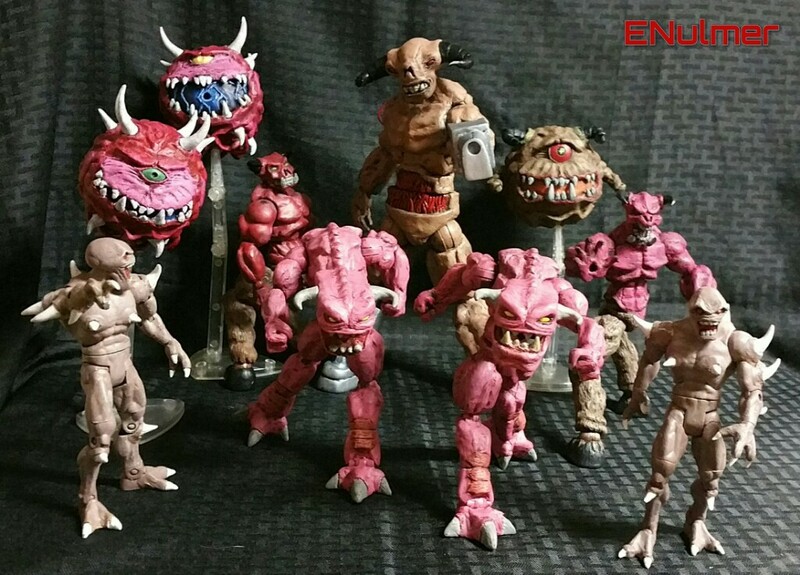 Working with a variety of materials, Ulmer has created an entire series of Doom figures based on enemies including Imps, Pain Elementals, Demons, Cacodemons and Barons Of Hell. 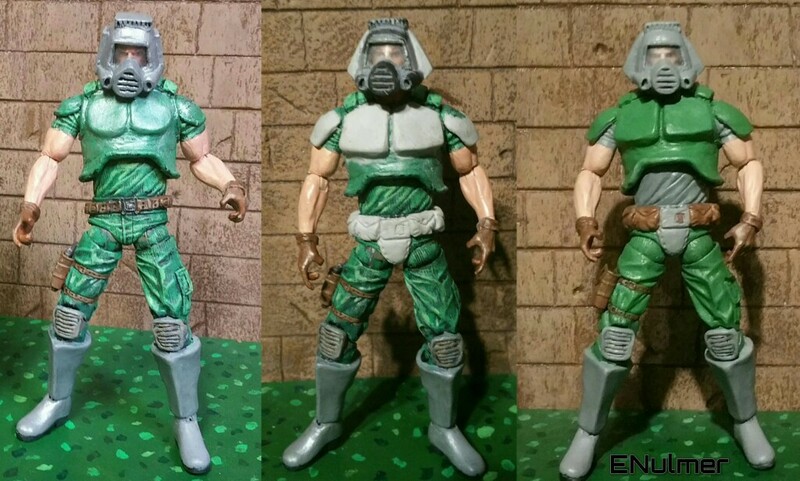 He's also created a custom Space Marine that I'd personally love to have staring at me from my shelf. 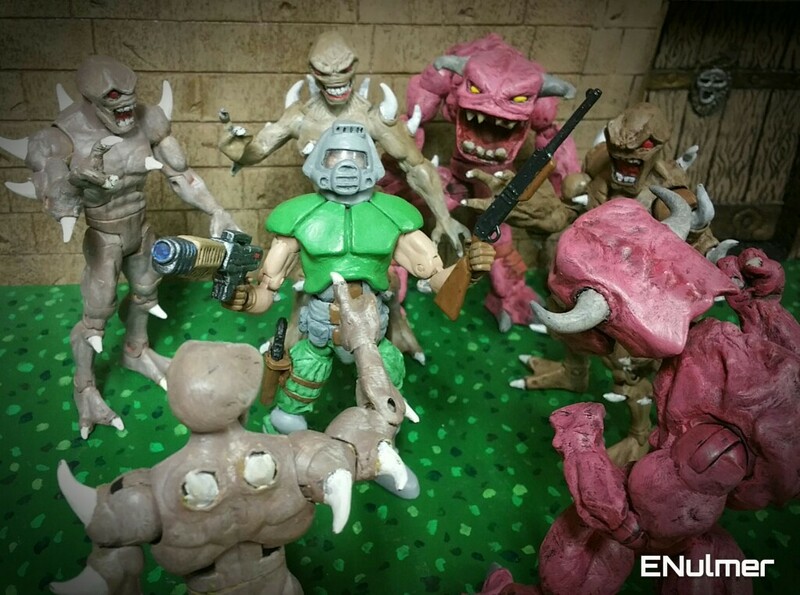 Speaking to The Escapist, Ulmer offered some details about the process of creating his action figures. 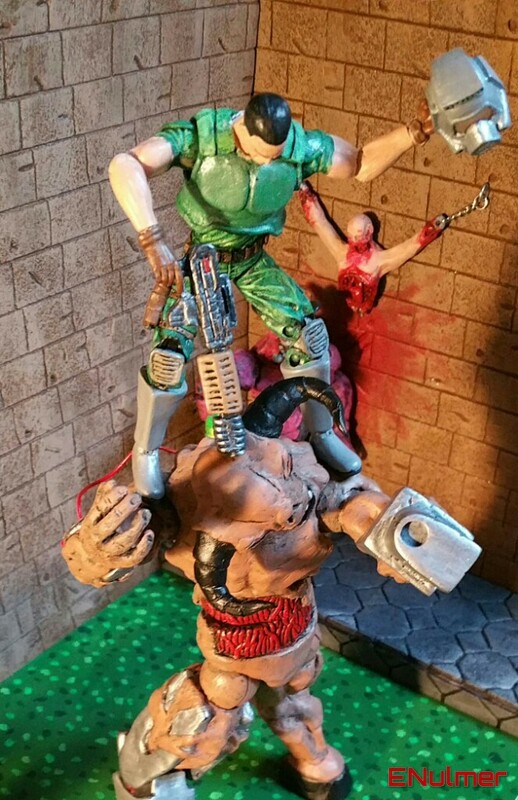 "I use magic sculpt, action figures, acrylic paint, and ancient powers from hell," he said. 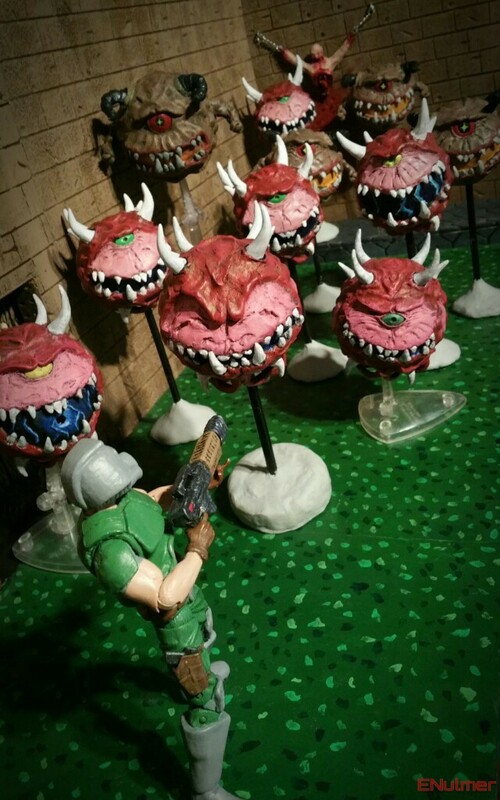 "I make them pretty fast, about 3 to 4 hours [excluding dry time.]" 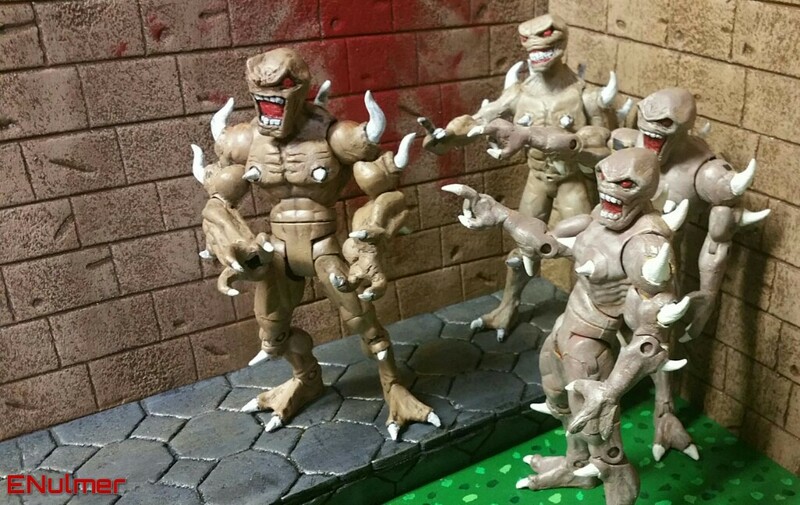 In fact, he makes the Cacodemons and Pain Elementals so quickly that he's able to produce them in large enough numbers to sell them on his Etsy page. Interested gamers can pick them up for 20 dollars each.